Brie Wakeland grew up surrounded by animals and nature, on a small farm just south of Dallas, Texas. She has been passionate about gardening and cooking for nearly all of her life. 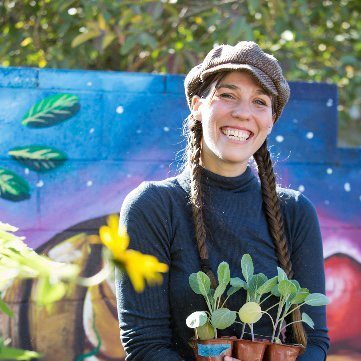 Brie is a culinary arts and garden educator for the non-profit Garden School Foundation. 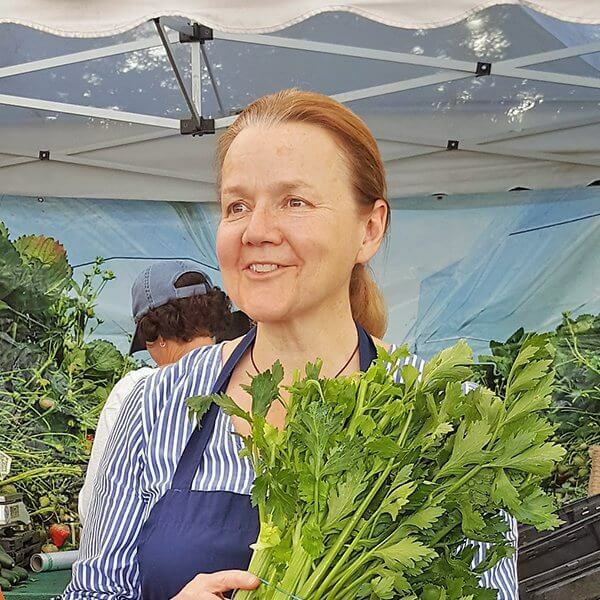 Since 2015 she has taught thousands of students within LAUSD, valuable culinary techniques and recipes from around the world; along with lessons on how to grow and harvest one’s own food. Brie’s passion lies in being a teacher, but she also makes a great effort to continue to study and grow as a student. Carol has been cooking professionally for over thirty years. Since graduating from the California Culinary Academy’s professional cooking and pastry programs in 1985, she has cooked in many notable restaurants and developed a substantial resumé as a pastry chef, private chef, consultant, food stylist, caterer, blogger, on-camera chef, recipe developer and marketing consultant for print and on-camera productions. For the past twenty-four years, she has taught at the Epicurean School, L’Academie de Cuisine, the New School of Cooking and The Gourmandise School. Carol’s love of travel takes her once a year, as guest chef, to Raison d’art Retreats in Catalonia, Spain. In addition, she co-owns californiaculinaryretreats.com. Carol currently teaches private cooking classes and caters custom designed events and dinner parties. 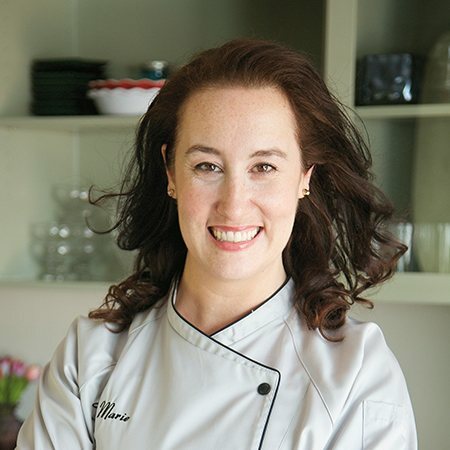 Christianne Winthrop’s culinary career began in early 2009, when she left her job in commercial real estate to focus on food. Since then, she has launched her own boutique food services company, specializing in modern American cuisine with a healthy twist. Services include recipe testing and development, small event catering and cooking classes both in-home and at several locations throughout LA and Orange County. 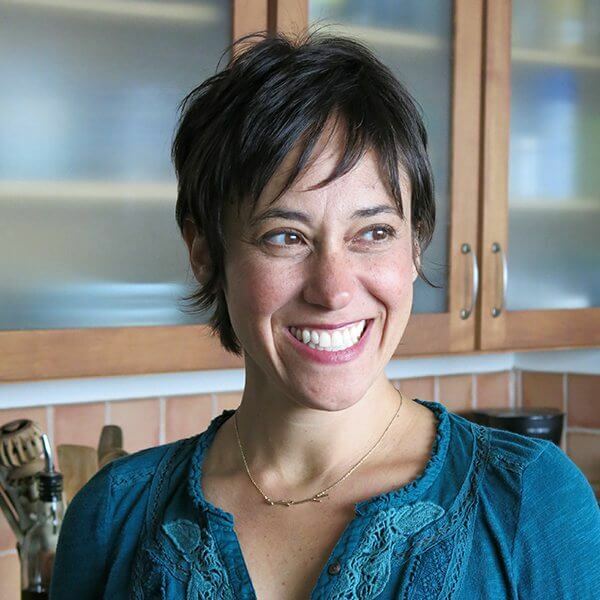 When Christianne isn’t teaching or catering, she is a freelance food writer and recipe developer with credits in The Los Angeles Times, Disney.com’s “Magic of Healthy Living,” BrainWorld magazine, SeriousEats.com and CBS Local’s “Best of LA” website. As well as graduating with highest honors from Le Cordon Bleu’s Hollywood culinary program, Christianne holds a BA in English from UC Davis and studied playwriting at Trinity College in Dublin, Ireland. She currently lives in Long Beach with her husband Bob. Follow her on Twitter or Instagram. Elizabeth Yale Marsh is a firm believer that life’s too short to drink wine you don’t like. As a wine educator and private wine consultant, Elizabeth’s favorite part of her job is helping people discover their own palates and giving them the confidence and vocabulary to go out into the world and order wines they’ll love. Elizabeth is the Founder of WINE GOALS, a wine education and events company. She holds Advanced Certification with Distinction from the Wine and Spirits Education Trust. She is also a California Sustainable Wine Ambassador. Elizabeth was trained in all things cheese by Murray’s Cheese in New York City, where she led wine tasting classes while living on the east coast. 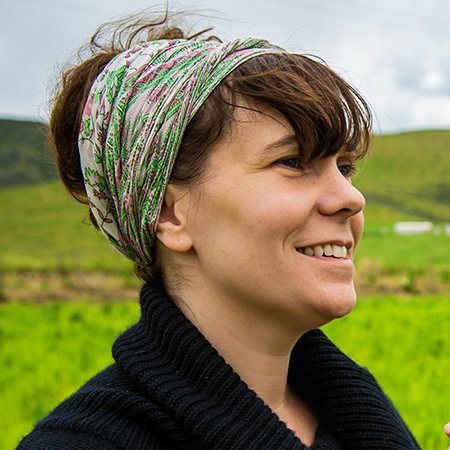 She has a degree in Anthropology from Columbia University, and loves to explore how history and culture have informed the wines we drink today. 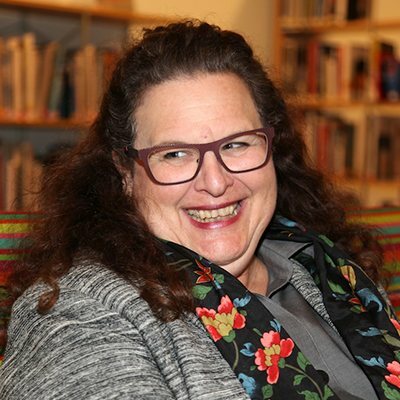 When not studying and exploring the wines of the world, Elizabeth produces documentaries for film and television and serves on the Board of the Museum of Food and Drink. 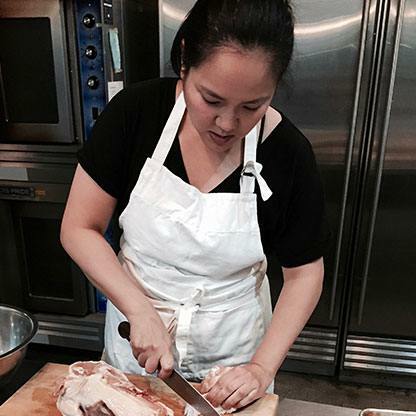 Eve Bergazyn is a chef with a decade of experience. While attending the French Culinary Institute in New York City, she fell in love with the precision and flavors of pastry. She worked at Craft, A Voce, and staged in the city’s renowned pastry kitchens. 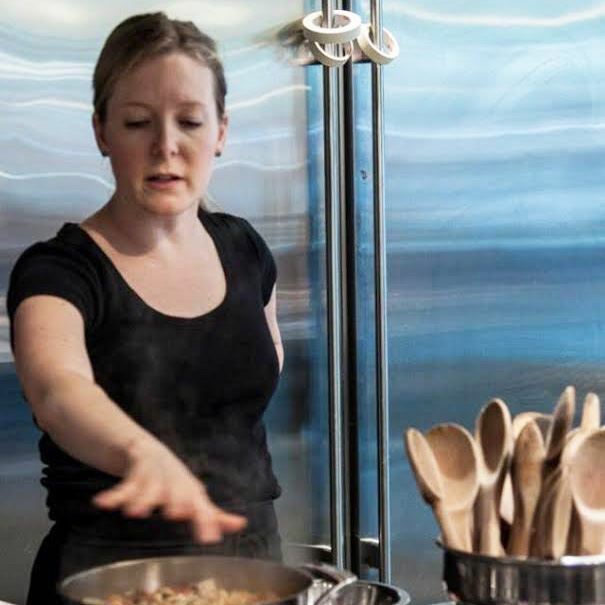 Eve also has experience on the savory side, working for four years at Vesta, which was named by Zagat as one of NYC’s top 50 restaurants when she was chef. LA-based Celebrity Chef Gino is a native of Parma, a city known as the true culinary breadbasket of Italy . 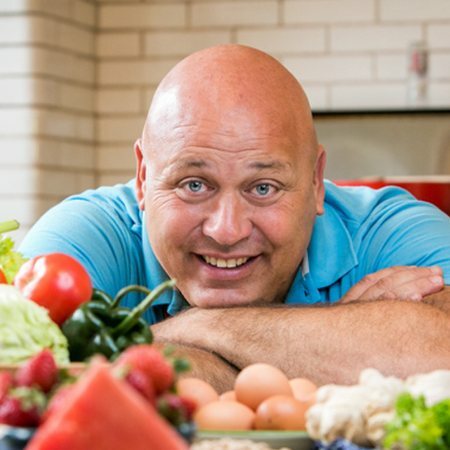 A dynamic TV personality and an exuberant MC, Chef Gino has been using his contagious energy to raise American Families’ Food IQ for the last 18 years. Chef Gino is currently working on the second season of the ground breaking reality series on A&E “Born This Way”. He’s the host of AOL.COM’s Kitchen Kids, a regular guest on NBC.com’s Garden Party, the spokesperson for the Got Milk? campaign. He blogs about food for the Huffington Post, has worked with Food personalities like Rachael Ray and Jamie Oliver and participated in Michelle Obama’s campaign “Chefs Move to School”. He has hosted Gino’s Kitchen for the Disney Channel and starred in the Italian prime time cooking show “La prova del cuoco”. Chef Jamie lives, plays, and bakes in Venice, California. Jamie grew up in Miami Beach, Florida where early on she showed a passion and talent for baking and pastries. Jamie grew up enjoying the relaxed and cosmopolitan lifestyle the beach city offered and learning to cook from her mother and grandmother. After graduating from Emory University with a BA degree, Jamie received an Associates Degree from The Culinary Institute of America in Hyde Park, NY. 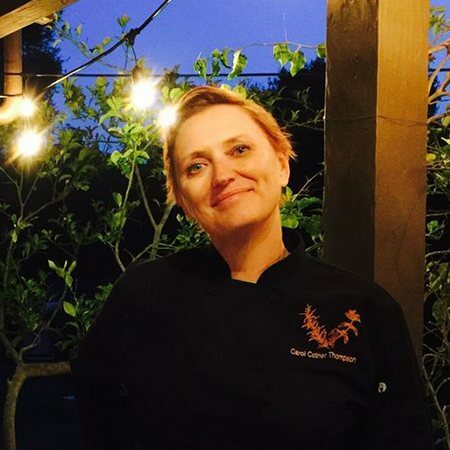 Jamie was awarded the 1998 Women Chefs and Restaurateurs Scholarship, which enabled her to continue her culinary education at the CIA Greystone Campus in the Napa Valley, CA. After receiving a Certificate in Baking and Pastry Arts, she began work at The French Laundry restaurant as Chef de Partie alongside James Beard Award recipient chef Thomas Keller, and Pastry Chef of the Year Award recipient Stephen Durfee. 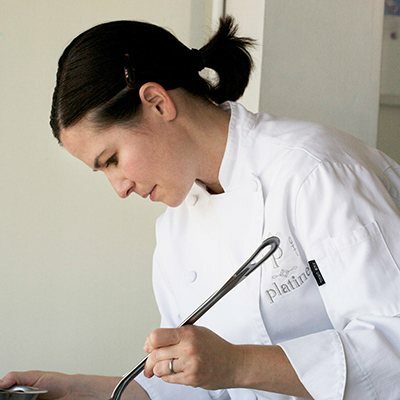 In late 2001 after several years at the French Laundry and a brief sojourn in Dallas, Texas, Jamie decided to follow her sweet tooth and moved to Los Angeles to begin platine bake shop. “What is your favorite thing to make?” she consistently replied – “cookies!” Chef Jamie combines the high standards that she learned in her formal training along with a great deal of passion and a sense of humor. Chef Janet Crandall grew up in the restaurant business – her parents owned and ran a cafe for 38 years. She spent her 20’s in the beauty industry as a makeup artist and Salon/Spa manager. In 2003 she traded in her brushes for a knife kit, attending the French Culinary Institute (now the International Culinary Center). Recognizing her advanced talent, upon graduating she was recruited by FCI as an Assistant Chef and rose to Chef Instructor. Among her colleagues were the kings of the culinary world, the famous and esteemed Chef Jacques Pepin, Chef André Soltner, Chef Jacques Torres, Chef Cesare Casella and Chef Alain Sailhac. Next, Chef Janet became an expert butcher. She has been the subject of several profiles including in The Philadelphia Enquirer, Grid Magazine and others. Chef Janet worked for the famous Pat LaFrieda and served as the Executive Chef and Head Butcher for Wyebrook Farm, a farm, market, restaurant and events center in Honey Brook, PA. 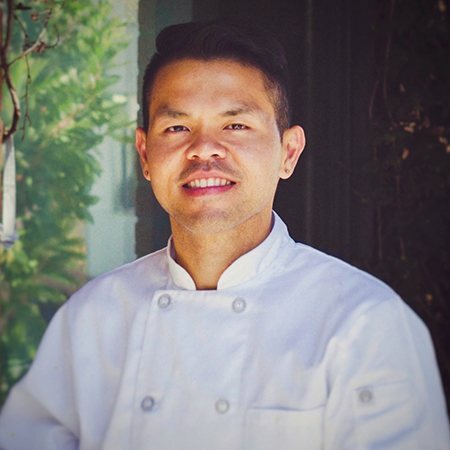 Chef Jeff is a native of Santa Monica growing up with a natural passion for food and cooking alongside his mother who was a talented home cook. After studying nutrition in college, Jeff attended the Cordon Bleu in San Francisco and apprenticed with Alice Waters at Chez Panisse. With her direction and help, he studied at the Le Norte pastry Ecole in Paris and then worked in France for a year. On his return to California, he worked as the pastry chef for Wolfgang Pucks Granite in Malibu, was the Sous Chef for Mark Peel and Nancy Silverton at Campanile in Hollywood, and was the Executive Chef for Maple Drive restaurant in Beverly Hills before opening his first restaurant in Brentwood, Cambria. In more recent years Jeff was the Executive Chef and Director of Catering Operations for Along Came Mary Productions in Hollywood producing many industry events including the Grammy’s, Spirit Awards, and the Emmy’s. 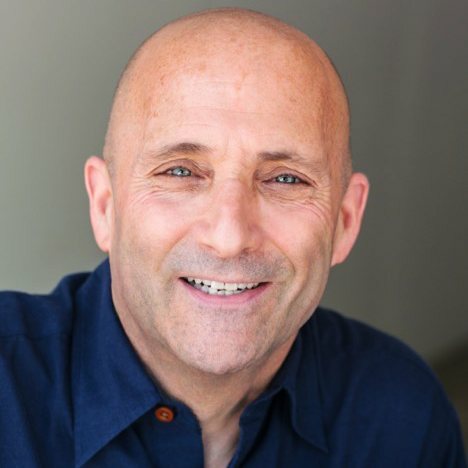 Jeff’s original interest in nutrition brought him back to school and has a degree in holistic medicine and herbology,which he incorporates into his cooking and lifestyle today. He was the kid who ran home from school to whip up his own after school snack, to make tomato soup from scratch or homebaked bread for his grilled cheese. Summers? In the garden growing salad and tomatoes in the rich black loam of his native Minnesota. After heading to college and on to building his own family his interest in the foods of the home developed as he was surrounded by great family cooks from the Caribbean, American SouthWest, Mexico, and the America South. With a deep love of the foods of America, he enjoys culinary trips to the Southwest and South to learn about the culinary traditions in our own country. After more than a decade in the corporate world, Chef John returned to his great passion of food finding a position with a well known Culver City Restaurant Supply House, the perfect venue to develop and share his love of food. By repurposing an underused showcase kitchen he invited local chefs, cookbook authors and culinary instructors to use the space to share and teach. The idea was a hit giving Chef John the opportunity to hone his skills with chefs including Roy Choi (Kogi BBQ, A-Frame), Jason Neroni (Superba Snack Bar), Ray Garcia (Fig), Josiah Citrin (Melisse), the founders of Tacos Puntas Cabras, Farmer Alex Weiser of Weiser Family Farms, and cookbook authors Jacquay Pfieiffer (the Kings of Pastry) and Martha Rose Shulman (The Art of Vegetarian Cooking and NY Times Health Editor), Kevin West of Saving the Seasons and the Grand Dame of Southern Cooking Nathalie DuPree. Laura Weinman was born in New York and transplanted to LA in her teens. She grew up in a large family in which it all happened at the dinner table with beautiful seasonal foods from farm stands and fishing trips as well as the occasional fine dining experiences. She studied philosophy at Georgetown University, but decided that her greatest joy came from the making and sharing of great food. Her long career includes work in restaurants, hotels, private homes and corporate dining rooms as a baker, cook and caterer. After receiving her culinary education at the California Culinary Academy in San Francisco, Laura opened Mary’s Lamb in Sherman Oaks CA, one of the first market/restaurant/catering concepts. She’s also been a private chef for a celebrated and healthful LA clientele. 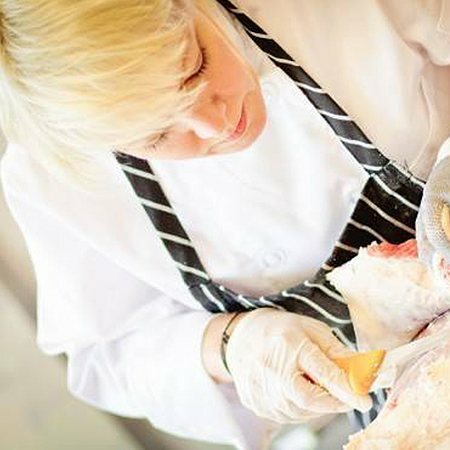 “There are so many great ways to use this skill set,” Chef Laura is quick to point out, not the least of which is in the teaching kitchens which she has done for the last 25 years. In addition to raising 4 kids, Chef Laura also dedicates her skills to the vocational training at St Joseph’s in Venice so that under served students may develop marketable skills and be placed in LA restaurants. A native of South Texas, Maite Gomez-Rejón is has a BFA from the University of Texas at Austin and an MFA from the School of the Art Institute of Chicago and a Grande Diploma from the French Culinary Institute in New York City. She has worked in the education departments of the Metropolitan Museum of Art, Museum of Modern Art, and the J. Paul Getty Museum and has worked as a private chef and caterer. While researching a medieval tapestry at the Metropolitan Museum of Art, she came across a group of medieval cookbooks and her interest in culinary history began. From that moment on she couldn’t look at a portrait without wondering what the person portrayed had eaten. There was no going back. In 2007 Maite founded ArtBites, art and culinary history combined with hands-on cooking instruction which she teaches at museums and cultural centers across the country. Maite has been a guest on the Today Show, featured in Food & Wine magazine, and interviewed on KCRWs Good Food and NPRs Splendid Table. 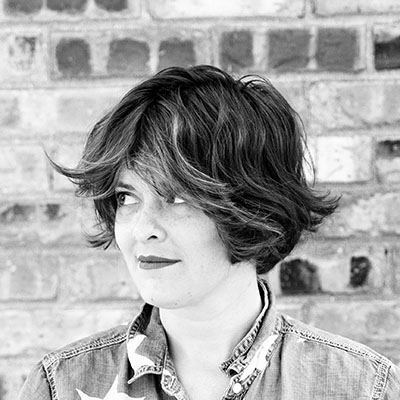 Also a food writer, she is a contributor to Life & Thyme, Eaten Magazine, and other publications. Her essay, “Mexico’s Early Cookbooks,” is forthcoming in the Oxford Research Encyclopedia of Latin American History. Visit her website at www.artbites.net. May Hennemann was born in Brooklyn, raised in St. Louis and is of Thai/Burmese/Chinese decent. Spending summers with family in Asia, she developed her love of Asian street food. Combined with a love for Julia Childs and curiosity about the culture of food, family and country, she decided to attend the Culinary Institute of America in Hyde Park, NY six months after graduating from the University of Chicago. This eventually brought her to Los Angeles and a 16 year career in culinary education specializing in everything from classical French technique to Asian dumplings. Nicole Hendizadeh is a food stylist, recipe developer, and chef born & raised in Los Angeles. 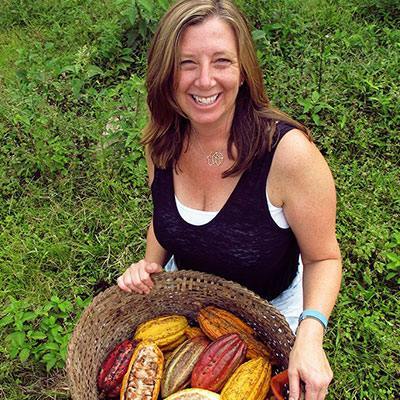 Her passion for exploring food professionally began at age 19, when she was working the sales counter at a local chocolate shop, eventually becoming a research & development kitchen specialist exploring exotic chocolate/spice combinations. 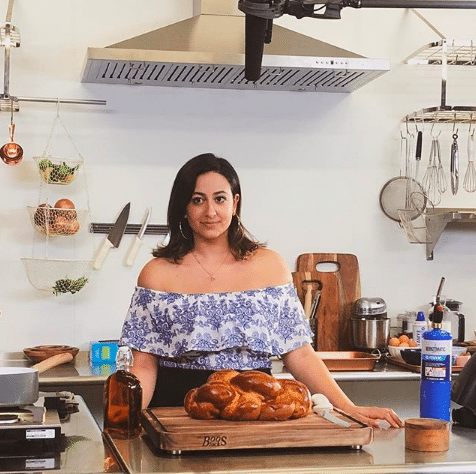 Nicole is deeply tied to her Persian and Jewish roots; she lived in Israel for a period of time and finds herself making elaborate Shabbat dinners for her friends/family members alike. She loves avocados, discovering unnamed taco trucks, and making people laugh. Nigel’s career in culinary arts started in 2007, after departing a successful career in the entertainment industry. Nigel is a graduate of Le Cordon Bleu as well as Morehouse College. Nigel has worked in kitchens spanning from Los Angeles to New Orleans. In New Orleans, Nigel learned under the tutelage of Chef/Icon Leah Chase and her grandson Chef Edgar “Dooky” Chase IV. In Los Angeles Nigel worked at The Kitchen for Exploring Foods, & The Peninsula Beverly Hills. More recently he was The Executive Chef for WME/IMG’s Corporate Restaurant Jack & Ben’s. Nigel started TheFeast.LA, with the goal of creating memorable culinary experiences while using locally sourced and sustainable products. He has provided services for Hollywood elite, national music festivals, film productions & local fundraisers. In 2013 Nigel was instrumental in bringing #Hashtaglunchbag to New Orleans, LA. In May of this same year he created The Nola Truck, a Food Truck specializing in giving Creole & Southern cuisine a contemporary twist. The truck has been featured on local news, Travel + Escape’s Rebel Without a Kitchen, & Adam Richman’s Fandemonium. 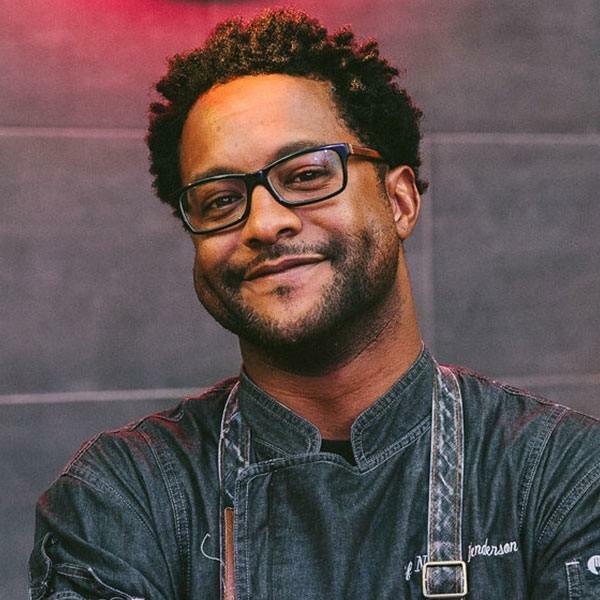 Currently Nigel splits his time between curating Culinary Events, Hosting The Gumbo Pot Podcast, & cooking for private clients. Pascale Beale grew up in England and France surrounded by a family which has always been passionate about food, wine and the arts. She was taught to cook by her French mother and grandmother. After 15 years working in the property and financial markets in California, all the while continuing her quest for good food and culinary knowledge during gastronomic pilgrimages to Europe, she returned to her first passion, cooking and food writing. 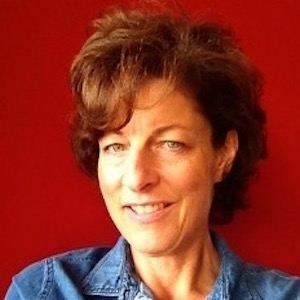 Over the past 14 years she has written eight cook books, and is an award winning columnist for Edible magazines, and contributor to numerous other food publications. Her column in Edible Santa Barbara won the prestigious 2018 Eddy award for Best Feature Story: Recipe. Her first cookbook A Menu for All Seasons – Spring, was published in 2004. The second book in the series, Summer, was released in early 2008. Autumn followed in October 2009. The fourth season – Winter – was published in March 2011. An entirely new edition of Spring was then published in March 2012. A Menu for All Seasons, the boxed set of the four volumes, is also available. Pascale released Salade: Recipes from The Market Table was released to great acclaim in 2014. The first edition sold out in only 14 weeks and is now in its fourth printing. Her seventh book, Les Fruits: Savory and Sweet Recipes From The Market Table was released in January 2016. The Pascale’s Kitchen Cooking Channel was launched on YouTube in September 2016. Her latest book, Les Legumes: Vegetable Recipes from the Market Table, the third in the market table series was released in November 2017. Pascale’s Kitchen, her online company www.pascaleskitchen.com brings a range of culinary products, including new herb lines and spices, teas and jams, as well as exquisite tableware, to its customers, making cooking pleasurable, delicious and fun. Rose Lawrence is the owner and fermenter behind red bread since 2011. Rose has always been captivated by food. She is committed to understanding the science, art, and magic of real food treated with care. She has won awards for pie, cookies, bread and cake. Rose is a passionate chef, baker, master food preserver, and is actively involved with food justice issues. Santa Monica born and raised, Rouha Sadighi has been working in the industry for almost 20 years. 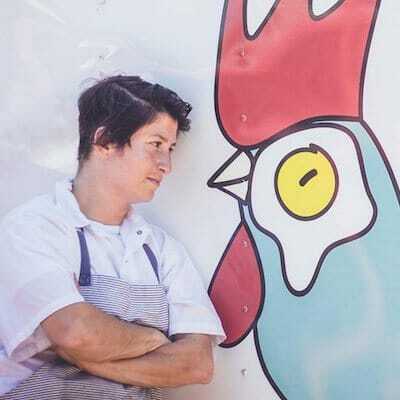 A former competitor on Chopped and a winner on Cutthroat Kitchen, Rouha currently owns and operates her own business, The Rooster, which started off as a food truck and is now in over 15+ cafes and expanding into a brick and mortar. Saengthong Douangdara was born in a refugee camp based in Thailand where his parents fled Laos after the Vietnam War. His family settled in Wisconsin. Growing up in the Midwest, he developed his love for Lao cuisine from his mom’s home cooked food. He helped his mom in the kitchen while observing her traditional Lao cooking techniques. He began cooking for others when he attended the University of Wisconsin – Madison where people noticed his passion for sharing his culture and history through food. His drive to explore more food adventures brought him to Hawaii where he attended graduate school at UH Hilo, and he gained extensive knowledge and techniques rooted in Hawaii. With over 10 years of cooking experience, he pursued his passion in teaching people how to cook. While exploring the world, he gained an appreciation and love in specializing in Korean fermentation, Hawaiian food, and Lao food. He has cooked and taught at UCLA, UC Irvine, Whole Foods, and celebrity events. 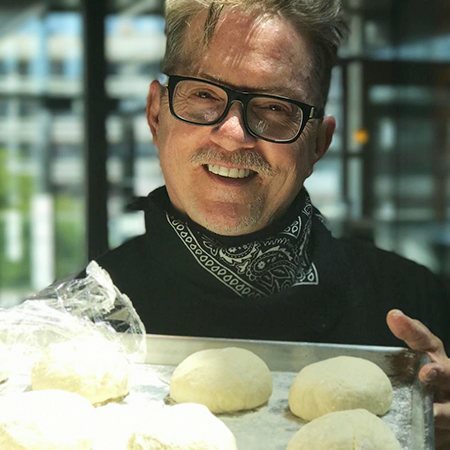 His drive to connect with people through food brought him to Los Angeles where he teaches interactive and fun cooking classes that go into the history, culture, and science of several cuisines around the world. Stephanie Chen is a self-taught pastry chef and cake designer. After spending over a decade working in the advertising industry on some of the biggest global brands and non-profit organizations, she left her longstanding career to follow her passion in a new adventure in pastry. 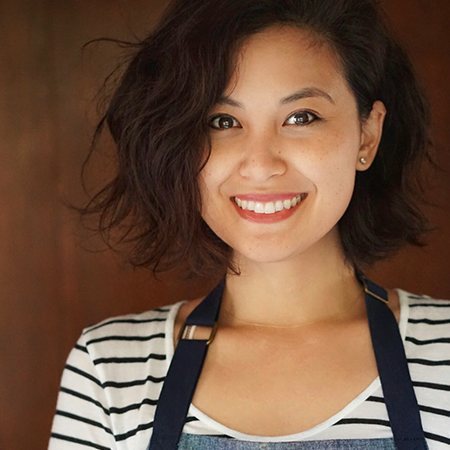 Steph made her national debut on Season 2 of ABC’s The Great American Baking show where she finished in second place for the title of America’s Best Amateur Baker. Since then, this star baker has been known for her whimsical party cakes and local seasonal dessert pop-up events around town. 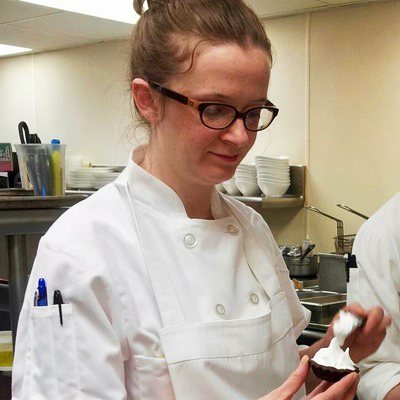 Steph can also be found in the kitchen on the renowned pastry team at Huckleberry Cafe. Visit her website at www.sugarbearbakes.com. Taji Marie is a California-grown chef who believes in making nourishing, uncomplicated food that is seasonal, unexpected and deeply satisfying. For over 15 years Taji has been feeding Southern California via her co‐owned catering company, The Simple Gourmet Kitchen. They specialize in feeding and fueling professional athletes including The LA Kings, LA Rams, LA Clippers, NFL Combine, LA Galaxy, Team EXOS, USTA, US Women’s Cycling Team, and other teams from around the world. Working closely with nutritionists and trainers, Taji creates balanced meals to follow diets such as: Paleo, Keto, Alkaline, AIP, Vegan and Whole Plant-Based. Taji is also the Consulting Chef for Grow, a neighborhood grocery store & deli with two Los Angeles locations, known for its commitment to California produce, non-GMO groceries and sustainable meats. In 2013 gained recognition for winning Food Network’s TV competition, Chopped. When Taji is not in the kitchen, she is writing about food, family and wellness for her blog, Trust UR Gut. She also collaborates with other chefs and brands to provide food writing, recipe development and food styling services. On her days off Taji can most often be found in her home kitchen cooking for her wife and son.